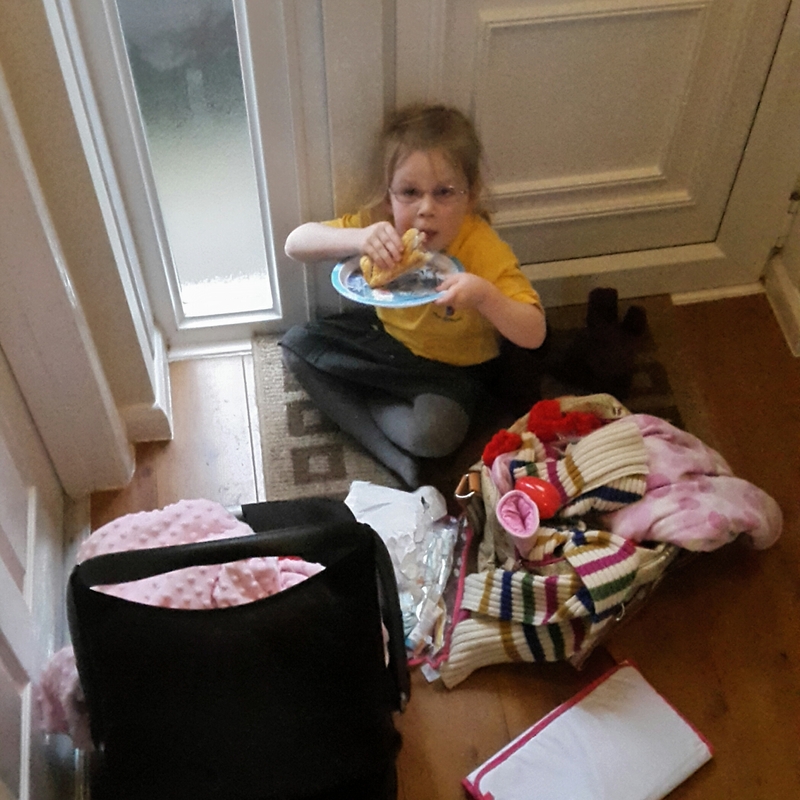 I came downstairs one day last week (after only being back in the house 2 minutes) to find Izzy had ratched through my bag to get the last sausage roll. At least she went to get a plate! She had already eaten a sausage roll, half a sandwich and some sweets about half hour before that! The girl never stops eating. You would think she was a starving child the way she carries on about food. I don’t know where she puts it all! She must have thought she was less likely to get in trouble if she at least didn’t make a mess! Haha can’t believe she got a plate, well trained! I think she was just disappointed she hadn’t had chance to eat all the evidence! Oh bless her, she was obviously super hungry!